Word Art World: Day 9: "Movie Night" Freebie! 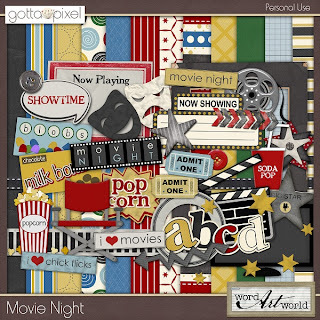 Day 9: "Movie Night" Freebie! For the past 8 days, I have offered a portion of this kit for FREE for you to download from my store. No purchase is necessary; just be sure to check back every day to get each portion because I cannot offer any missed portions.